Tokyo Rebel: Victorian maiden Jewel Ribbon Series up for reserve! Victorian maiden Jewel Ribbon Series up for reserve! 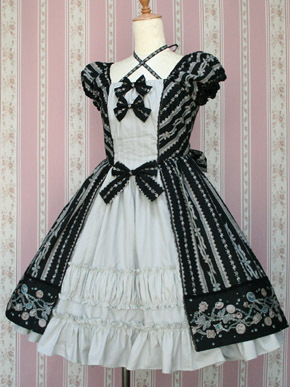 Victorian maiden fans, we now have the Jewel Ribbon coordinate series up for reserve on our site! In addition, don't miss the special note we've added above the products on the reserve collection page - keep in mind that we can get almost any item on VM's web site, including reserves no longer on our site and most in-stock items! We're now removing reserve items completely from our site shortly after our reserve period ends (to avoid confusion with our in-stock products), but that does not mean that you cannot still order them. All you need to do is email us if you don't see an item on our site and would like to order it - VM is one of the easiest brands for us to order from.